Used Yamaha YTR-83 medium bore Bb trumpet. 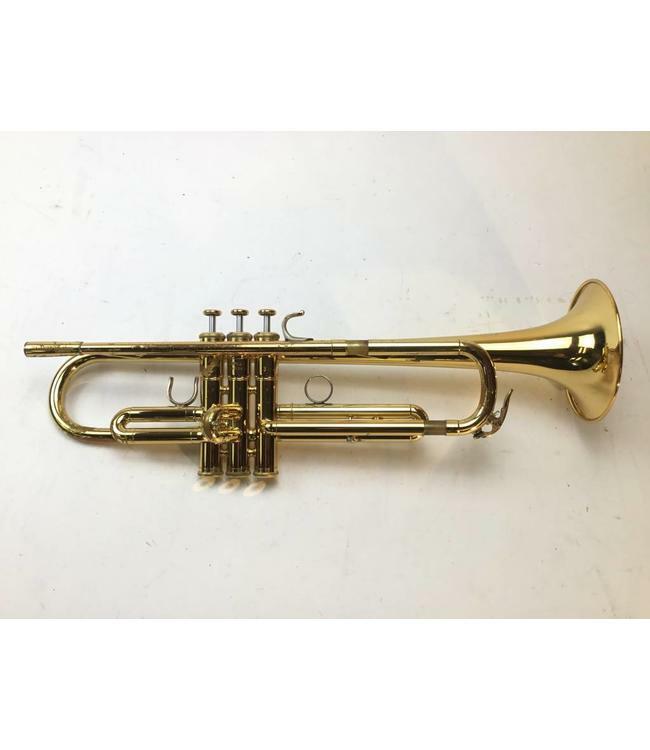 This trumpet is in overall good condition despite heavy lacquer wear and scratching throughout. No case.